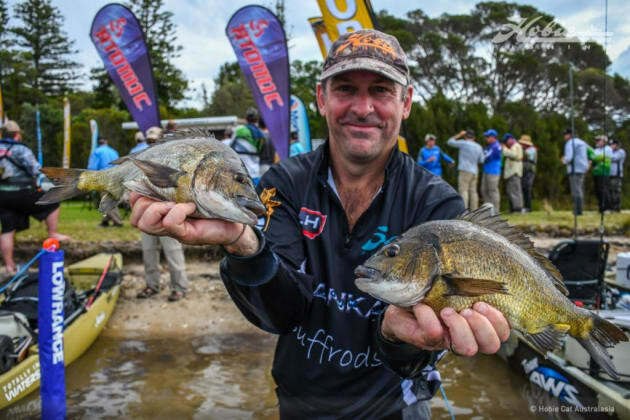 74 anglers from Victoria, New South Wales, South Australia, Queensland and the ACT headed to Mallacoota, Victoria to compete in round 3 of the Hobie Kayak Bream Series, over the March 25th – 26th weekend. After a tough Pre-Fish Day, where a lot of anglers struggled to find abundant fish, the first day of competition saw conditions that looked promising for a good catch, with overcast skies and a breeze on both Top and Bottom Lakes. By the end of the session a reasonable number of anglers pulled in solid bags, with other competitors struggling to find enough fish to fill theirs. Nevertheless, 55 anglers brought back fish to the Strike-Pro Weigh-in, 18 with full bags of 4 fish. The field was led by Richard Somerton with his full bag of 4 fish for 3.64kg, followed by Bogdan Zisu with 4 fish for 3.50kg and Tony Pettie sitting in third place with 4 fish weighing 2.97kg. As the sun rose over the Pro Lure Arena and competitors raced away from the Power-Pole Starting, in clearing skies and with very little wind expected throughout the day, anglers were in for a second testing day of competition, with very little cover to entice fish to venture out of the hides. Despite a hard day of fishing, that did not produce the Mallacoota Magic anglers expect from the inlet, 28 full bags were still brought back to the Strike Pro Weigh-in. A total of 121 fish were weighed-in on the day with 65 of the 74 anglers catching fish over the two days of competition. Richard Somerton, from Mount Martha in Victoria, took out his second tournament from the three that have been contested, so far, in the 2017 series. Second place went to Bogdan Zisu, also from Victoria. Glenn Allen from the New South Wales Central Coast caught the largest fish of the tournament, and won the Atomic Big Bream $100 cash prize. Click here to see the full list of results. Lowrance round 4 will be fought out on Port Adelaide River in the heart of Adelaide, the capital city of South Australia, on April 8th – 9th. 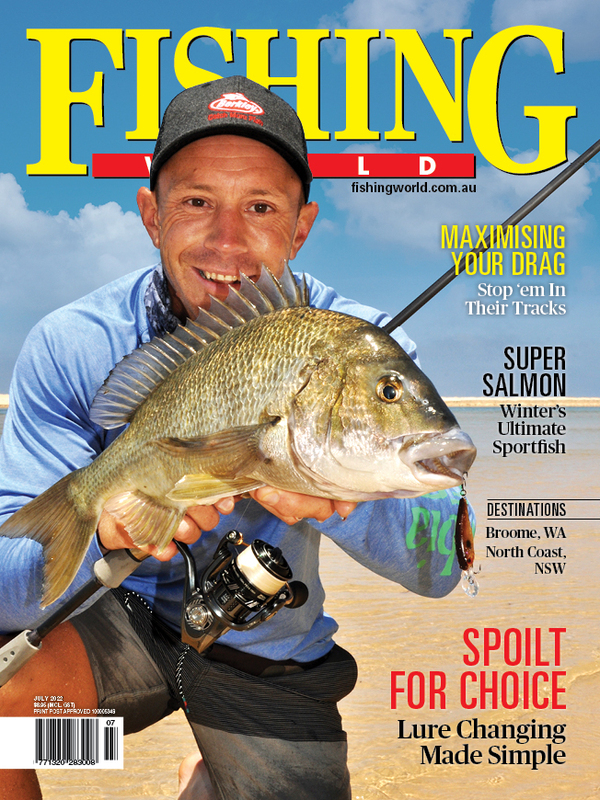 Register online via the Hobie Fishing website.